PREVIEW: Are you ready to become a legend? After a one-week break, The Flash returns to Fox 8 tonight for the first of two crossover episodes with fellow DC Comics property Arrow. The episodes will not only introduce a major villain in time-travelling Vandal Savage, but also boast one of the biggest superhero lineups seen on TV AND introduce the next DC Comics television show. While dealing with their main foes, The Flash and Arrow have developed various characters and stories that will become key components in the upcoming Legends of Tomorrow. In Legends of Today, Savage will make his introduction by attacking Kendra Saunders (Ciara Renee). 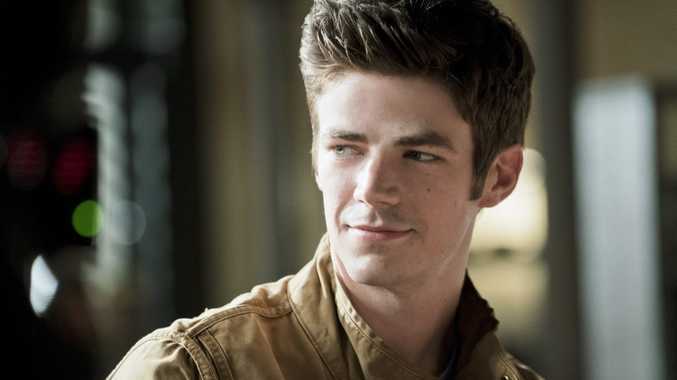 Barry Allen/The Flash (Grant Gustin) takes her to Star City so she can be protected by Oliver Queen/Green Arrow (Stephen Amell). Legends of Today will only tell half the story, with Arrow's Legends of Yesterday to complete the mini-story. With Legends of Tomorrow to debut in 2016 the story may not be fully completed, which will serve as a springboard for some of our established heroes to jump to the new program. - When will Gorilla Grodd return? - Patty Spivot (Shantel VanSanten) knows Barry is lying, but how long until she learns about his alter ego? The Flash airs Wednesdays at 6.30pm (AEST) on Fox 8 (Channel 108).